Nebulizer and Ultrasonic Diffuser – Which Is The Best Choice? Ancient essential oils have become an important part of living a modern life of natural health and wellness. When using essential oils, the goal is to get the powerful, organic chemicals into your bloodstream in order for them to work effectively to support your body and your mind. Most of the time you don’t want to actually ingest essential oils into your body, as it could be dangerous to do so. In most cases, the best routes for essential oils to get into your blood stream are either through topical applications directly onto the skin, or by breathing them in through the air. Although you can simply take a sniff directly from an essential oil bottle, this is not the best method. A much better and more effective way to distribute essential oils is to use an essential oil diffuser to put them into the air that you breathe. Essential oil diffusers carry the essential oils into the air. Although some use heat, this is not as effective because the heat can damage the integrity of the oils. 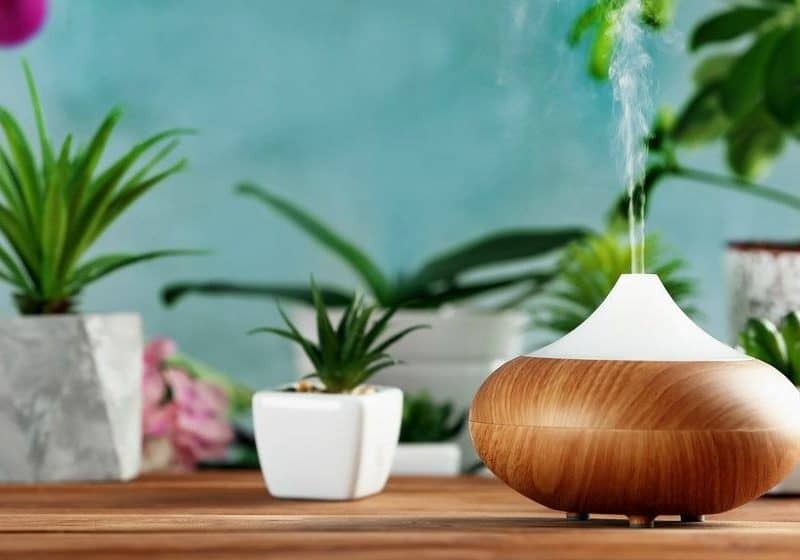 It is better to use an essential oil diffuser that uses either the air or a cool mist to propel the micro-particles of essential oils into the air. Once in the air, anyone in the room breathes them in and they become beneficial to the health and well-being of the people nearby. Essential Oil Diffusers are beneficial for a variety of reasons. They are convenient in that they allow you to provide the healthy benefits of essential oils to your entire family without having to apply them directly to the skin. Diffusers can run for hours at a time without the need to be refilled, meaning you and your family can enjoy the health benefits without really having to think about it. You can use an essential oil diffuser almost anywhere for a variety of reasons! Essential oils diffusers for large rooms or small rooms are available no matter what you’re using them for. Essential oil diffusers for cars can also be effective to keep comfortable while driving. In the bedroom to help battle sleeping and insomnia problems. In the bathroom to purify the air. In the office to give you an energy boost when you’re working. In school rooms to help students concentrate and also fight off germs. In the kitchen to clear out unpleasant odors. In hotel rooms to make you feel more at home. In a spa room to create the perfect ambiance for massage or other spa treatments. It is important to remember to keep essential oil diffusers away from direct sunlight as the heat could compromise the oils. Also, don’t use a diffuser directly in front of a fan. The diffuser should work to place the oils into the air independently, without the need for a fan. 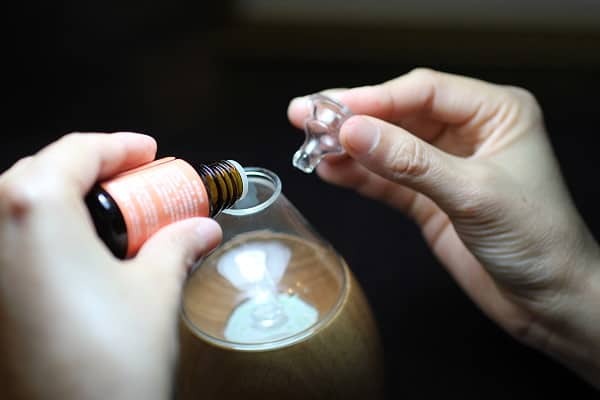 A few different types of essential oil diffusers are available for purchase today, and it can be confusing to determine which one might be best for your specific purposes. Some use heat to get the scent out (but this can damage the oils and make them less therapeutic). Other diffusers are simply made of sticks that are meant to put the scent into the air, but these are not easily controllable. Here we’ll feature the two most popular and most effective types of essential oil diffuser: Nebulizer and Ultrasonic Diffuser. A nebulizer essential oil diffuser releases the aromatic fragrance of the oils into the air through an atomizing process if air flowing through it. The machine consists of three main components: a base, a glass nebulizer and a pump. The pump causes air to flow through the diffuser and out into the room. The base may be made of any material such as wood, glass or plastic. 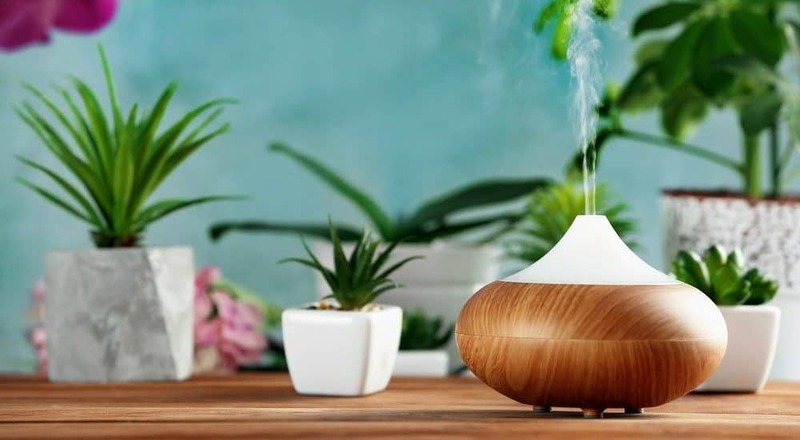 Sometimes referred to as cool mist humidifier, ultrasonic diffuser use water and ultrasonic waves to create cool mist that floats the essential oils particles out with the air. Taking a look at both types of essential oil diffusers, each kind has their own benefits and both are effective in many ways. They also both have certain drawbacks depending on how and where you plan to use them. As a newbie getting started with essential oils, using an ultrasonic style diffuser may be a better option. This type of essential oil diffuser is more affordable and less breakable, making it a great way to start out without having to make a huge investment. If you find that you like using essential oils, you can always upgrade to a more expensive version of diffusers after a time. On the other hand, if you’re a connoisseur of all things essential oils, you may not be satisfied with the dilution required when using an ultrasonic diffuser. And if you’re using the oils in a smaller room, a nebulizer may just be the perfect option for you. This is especially true if you’re an aromatherapist, massage therapist, or in some other profession in which the use of essential oils has a direct impact on your work and you’re using them therapeutically. Choosing to get an essential oil diffuser is a great investment! But you want it to be the right one that fits with the needs of the space you are using it in as well as the people around you. 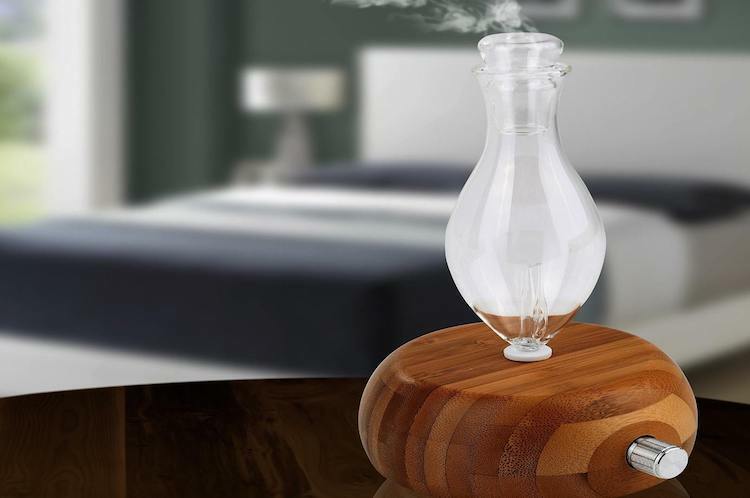 If you are looking for an essential oils diffuser that will bring you the purest, strongest scent available, then a nebulizing diffuser may be for you. This is because the essential oils in a nebulizer are not diluted with water, which means that you are breathing the most powerful, most concentrated version of the essential oils. The way your essential oils diffuser looks may be very important to you in choosing the machine that coordinates with the design and style of your home. Nebulizers are often designed with carved wood that gives off a natural vibe. When combined with blown glass, the effect is beautiful, delicate, and classically elegant. Ultrasonic diffusers come in all different styles and often provide a more modern take. Some of them look very much like a random plastic appliance sitting on the counter, while others are stylized in different colors and shapes to provide a decorative touch to any room. When it comes to style and design, the difference between nebulizer and ultrasonic diffuser is very much related to personal preference and one is not really better than the other. If you intend to keep your essential oil in one place and not move it very often from room to room, then a nebulizer may be the very best choice for you. Especially if you plan to use it often. Nebulizers are more expensive and fragile, but are also beautiful and can function as a lovely piece of artwork as well as a way of getting the essential oils into the air of your home or office. If you want to use your essential oil diffuser for traveling, or even moving it from room to room, then an ultrasonic cool mist humidifier may be your best option as they are less breakable. However, be sure to empty out all of the water before moving your ultrasonic diffuser. If you live in a place that already has a great deal of humidity in the air, then you don’t want to add any more. But for people have live a dry or arid climates, using a humidifier may actually be helpful. This is especially true if you are using them to fight off symptoms of cold and flu that come along with dry winter air. For people who live in a place with high humidity, a nebulizer is probably a better choice. When choosing between a nebulizer and ultrasonic diffuser, both of them may have options for automatic shutoff. An ultrasonic auto shutoff is critical because it can’t run without water so if the water runs out and the machine keeps running, it will be ruined. For simplicity’s sake, a nebulizer is a much easier machine to use. Simply remove the glass cap, add essential oil drops in, replace the cap and turn it on. An ultrasonic diffuser requires you to unplug the machine, fill the reservoir with water (being careful not to overfill! ), add essential oil drops, re-plug it into the electricity source, and turn it on. It’s a bit more fussy and complicated to use an ultrasonic version of a diffuser. For a home with children or pets, the likelihood that a diffuser will get knocked over is stronger. If a nebulizer is spilled, the glass is more possibly going to break and that’s a very expensive cost to replace. Also, you have fully concentrated, very expensive essential oils in a nebulizer that has the potential to permanently stain your carpet or rug. If an ultrasonic diffuser is knocked over, the machine is less breakable as it is usually made from plastic or wood. If it does break, the cost is lower to replace. While you will have a little bit of a water mess if an ultrasonic diffuser spills, the oil is diluted in water so you are only losing a few drops of oil instead of a larger amount. For homes where there are children or pets, an ultrasonic diffuser may be less risky and more practical. Additionally, the scent that comes from using an ultrasonic diffuser is softer and gentler. This may be better for people with children and pets because the more powerful nebulizer may be too strong for little people with sensitive noses. Ultrasonic diffusers may offer options for an adjustable mist setting, whether continuous or intermittent flow. This allows the user to choose whether they want the water and essential oils to come out quickly and diffuse over a shorter amount of time before shutting off. Or if the essential oils and water should come out more slowly, it is often on a cycle of 30 seconds of misting with a 30-second pause between misting. Some nebulizer diffusers also have options for adjustable mist settings. Because a nebulizer gives off an essential oil mist that is not diluted with water, it may be too strong if it comes out in a continuous flow. Mist intervals may vary between 5 seconds, 10 seconds, 30 seconds and 60 seconds. This type of interval setting allows the user to have full control over the number of essential oils that are coming out. Obviously, if you choose for the settings that have more time in between, the mist will not be a potent and you’ll use up less essential oils from the reservoir. The water capacity of your ultrasonic diffuser will make a difference in the length of time that it runs. Typical water tanks on an ultrasonic diffuser hold around 100-300ml. A large capacity diffuser might hold 400ml or even more water. Of course, this will mean adding a larger number of essential oil drops to the tank for it to last longer. Some people feel that a larger water capacity is better because it allows the machine to run longer—lasting all night for people who use it during sleep. Other people find that if the capacity of the water tank lasts any longer than 6 hours, then the effectiveness and potency of the essential oils is compromised and the rest of the time the mist is mostly just water. This is really just personal preference of the person using the machine. The amount of time that an ultrasonic diffuser will run is directly impacted by the size of the water reservoir. A 100ml tank will typically yield between 3 and 5 hours of running time on continuous mist or up to 12 hours with intermittent. A larger capacity tank, from 300ml to 400ml, may offer 8-10 hours of continuous mist without needing to fill the tank. Some ultrasonic diffusers have a time you can set for the diffuser to turn off after running for an hour, three hours, or even six hours. Most nebulizer diffusers have a running time of about two hours. Although some battery powered units claim to be able to run for 20-50 hours, this is how long the battery will last without needing to be recharged. The essential oils will not last that long and will need to be refilled before within a couple of hours. Many nebulizer diffusers will have an automatic timer that allows you to choose between 30 minutes, 60 minutes, 90 minutes, or 120 minutes of use. Once you’ve chosen a new diffuser, whether nebulizer or ultrasonic, you’ll need to know how to use it! Of course, you’ll need to follow the manufacturer’s specific instructions related to your machine model. But let’s take a look here, step by step, at how to use your new essential oils diffuser. Using a nebulizer diffuser is easy! It does require a power sources, whether electric or battery, so be sure that you have access to whatever type of power your machine needs. Insert the narrow end of the reservoir into wooden base at the point of the rubber grommet. Do not twist the glass, but gently rock it back and forth if needed to secure it into place. Add approximately 20-25 drops of 100% pure essential oil to the bottom of the reservoir (follow manufacturer’s instructions for the exact number of drops needed). Do not use thick, resinous essential oils such as Frankincense or Myrrh. Avoid overfilling. Place glass cap on top. Connect to power source and turn on. Your nebulizer should very quickly distribute the powerful scent of essential oils into your room, providing you the vast, natural benefits for your physical, mental, and emotional health. An ultrasonic essential oil diffuser is not difficult you use. You’ll need your machine, access to water, and 100% pure essential oils. Remove the top cover. Use a pourable cup to measure the appropriate amount of tepid water according the manufacturer’s instructions. Be sure not to fill above the line inside the reservoir. Add the water and 5-10 drops of essential oil (for a larger reservoir add more drops). Replace lid carefully and connect to power source. Turn machine on, choosing LED colors or other options, depending on your model of machine. Once your ultrasonic essential oils machine is working, the cool mist should last for several hours and shut off automatically when the reservoir is empty. Depending on the oils you choose, the pleasant fragrance may offer relaxation, energy, immune system boosting, and much more. Plus, the air in the room will be humidified to make it much more pleasant for breathing—especially in the winter months. No matter how good your essential oils diffuser is, it can only be as effective as the essential oils you put inside of it. Be sure that you are purchasing the highest quality, 100% pure essential oils from a trusted source. It’s not necessarily true that the most expensive essential oils are the best, however, so don’t be fooled! Some companies that offer high quality, pure essential oils are much more affordable because they keep their marketing costs down by only selling online. Some of the best essential oil companies are the ones that offer access to their GC/MS testing results, offering essential oils that are 100% pure, without any additives or dilutions. Essential oils that are cut with a carrier oil should never be used in an essential oil diffuser. Oils that are extracted through chemical processes (called absolute oils) are not 100% pure because the extraction chemicals cannot be completely removed. Certain oils, such as rose, can never be 100% completely pure because of this. This means that they may not have as many therapeutic benefits and should probably not be applied to the skin topically in full strength. However, absolute oils can still be happily used in diffusers as a room fragrance. But it should be noted that they are not completely pure. Making use of an essential oil diffuser is one of the most effective ways to distribute essential oils throughout the rooms of your home or workplace, without a great deal of effort or fuss. Whether you choose a nebulizer or ultrasonic diffuser, you’re sure to find that it is an effective means to purify the air, cover up unpleasant odors, and promote the health of your family. All with just a few drops of the best essential oils of your choosing!